At one point or another you probably have heard about stuffed peppers. 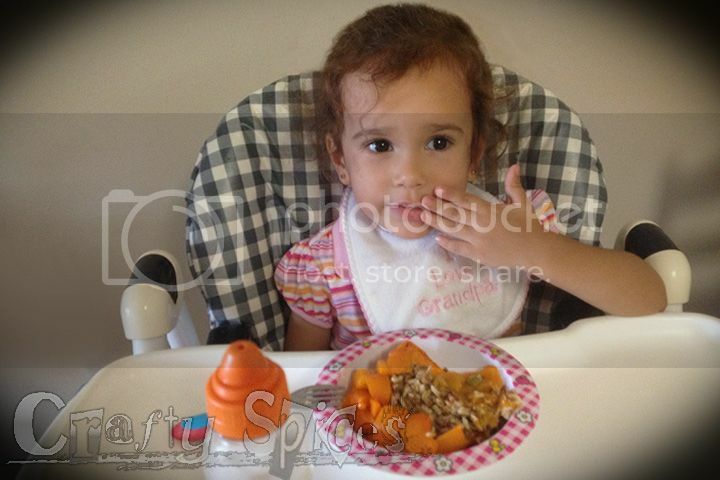 Peppers are one of our favorites go to foods! So many types of peppers and so many ways to eat them, stuff them and play with them (just don't tell my daughter that I said that I like to play with them, she would say "We don't play with the food mommy"). Stuff them using different ingredients, use different varieties of peppers and enjoy them. 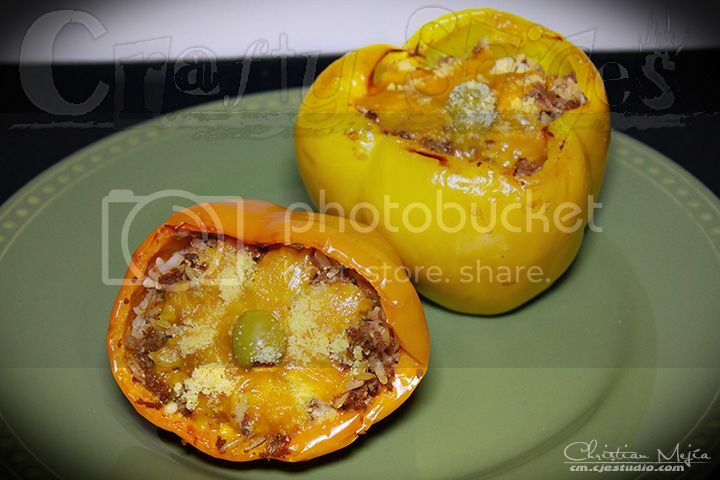 In this occasion, we are featuring stuffed orange and yellow bell peppers, we used a mixture of Spanish rice and ground beef to stuff our bell peppers. But essentially it's your choice of rice mixture stuffed into bell peppers and baked in the oven. Preheat oven at 350 degree F (175 degree C). Wash bell peppers, cut tops remove seeds and rinse well. Place bell peppers in a baking pan with open side facing up, set aside. In separate bowl mix together Spanish rice, cooked ground beef and 5oz tomato sauce. Stuff each bell pepper with rice mixture. Mix the remaining 5oz tomato sauce with garlic powder and pour some over each of the stuffed bell peppers. Place backing pan in oven and bake for 20 min. Remove from oven, top with grated cheese and a green olive, broil for 10 min. Take out of oven, serve warm or let cool down. Everyone in my family loves them, hope you enjoy them as much as we do. I love stuffed peppers. I used to make them for my family and boyfriend during high school. I haven't tried them with raisins before. That sounds interesting! If you get to try them this way, let us know what you think. I love bell peppers... I use it for everything.